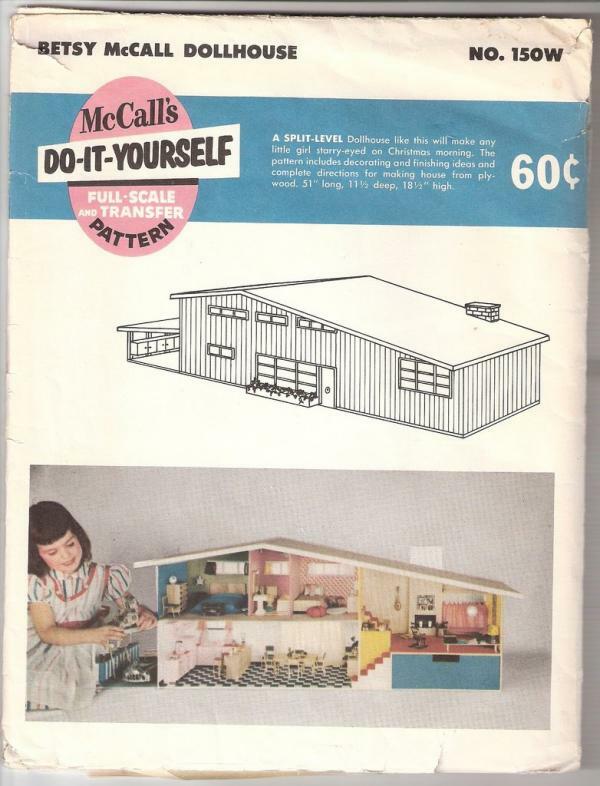 Kate Virtue was surfing the web one day, when her attention was caught by a blog written by someone who was rennovating an old dollhouse, and what she discovered sent her off down into the cellar to retrieve her own much-loved Betsy McCall dollhouse her grandfather had built for her in the 1950s. Needless to say, it was in need of a little TLC, and Kate wanted to create a contemporary interior for the house. She did a little more research and whilst some houses seemed to be furnished with 1:12 furniture, Kate felt confused and wasn't really sure that 1:12 was right. At this stage she contacted ELF and together we decided to go for 1:16 which would give the house a spacious airy feel. Kate loves the simplicity of black and white, and had already given the house a coat of white paint inside when she contacted us in search of a kitchen. She wanted a design that would delineate the kitchen area, separating it from the dining room, without however minimising the spaciousness of the downstairs area. We then designed a bathroom, taking advantage of the relatively high ceiling, and creating a sunken bath set into a dais. The black and white theme continues throughout the house, with occasional touches of colour that lift the whole design. Kate's flair for interior design is obvious in the choice of furnishings and accessories, and she has combined ELF furniture with pieces from other makers, and some inventions of her own. Scroll through the photos and enjoy the stunning interior that Kate has created - then free your own imagination and discover what you could create with the help of ELF. With thanks to Kate Virtue for the photos of her house.